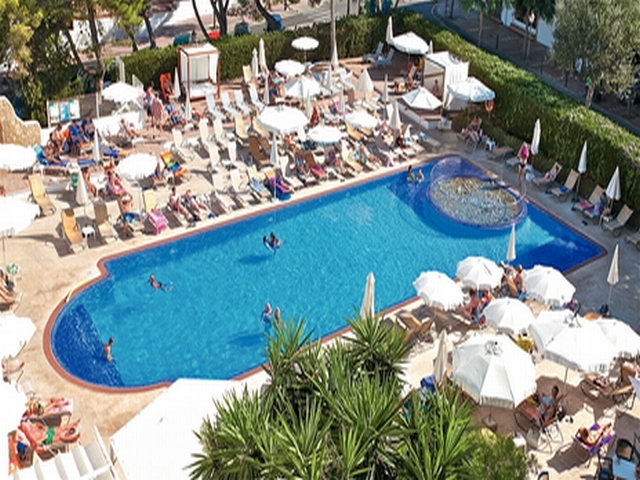 General Description: Welcome to the Sentido Tucan Hotel in Cala D'Or. The sandy beach is 300 m from the hotel and the town of Calonge is 4 km away. The closest city to the hotel is Santanyi (15 km). Other cities: Palma de Mallorca (65 km). To make your stay more comfortable an elevator, a reception, air conditioning and a lobby are available. The staff in this 4 storey hotel speaks Spanish and English. For guests who wish to be mobile, bicycle rental and car rental can be arranged. The hotel features a fresh water swimming pool. Guests can unwind with a drink at the poolside bar. The hotel is within easy reach of taxi stands, supermarkets, city centre, shops, bus stops, disco and bars and restaurants. Distance from the hotel to: horse riding (15 km), Cala Figuera (20 km), Es Pontàs (Cala Santanyí) (20 km), airport PMI (55 km) and Parc Natural Mondrago (15 km). For your entertainment the hotel features a TV lounge. This is an adults only hotel (16+).